BOSTON, Mass. — BriefCam, the industry’s leading provider of Video Synopsis® and Deep Learning solutions, today announced that the New Orleans Real-Time Crime Center is using BriefCam’s video analytics platform as a key component of its Real-time Crime Monitoring Center designed to improve public safety. 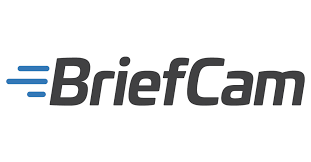 BriefCam is the industry’s leading provider of Video Synopsis® and Deep Learning solutions for rapid video review and search, smart alerting and quantitative video insights. By transforming raw video into actionable intelligence, BriefCam dramatically shortens the time-to-target for security threats while increasing safety and optimizing operations. BriefCam’s award-winning products are deployed by law enforcement and public safety organizations, government and transportation agencies, major enterprises, healthcare and educational institutions, and local communities worldwide. For more information about transforming video surveillance into actionable intelligence, visit https://www.policeone.com/.